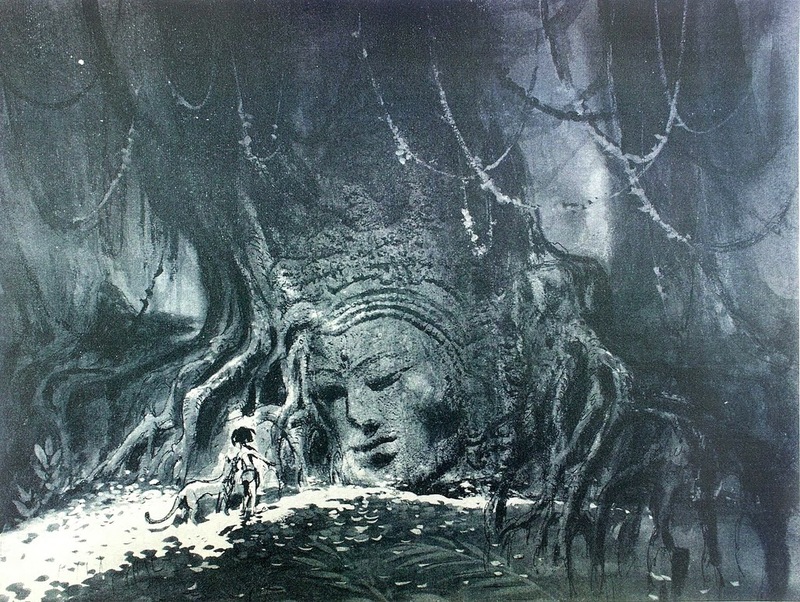 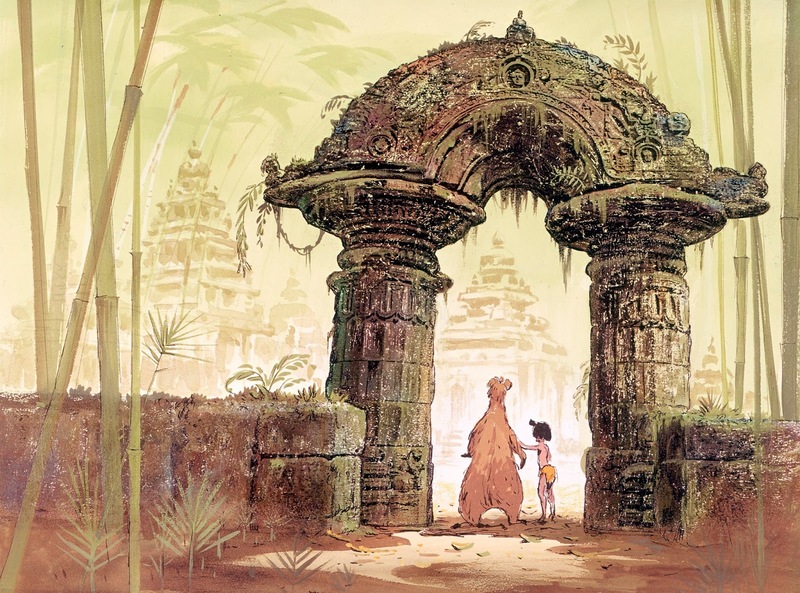 Ken Anderson and background painter Al Dempster had something to do with these color studies for the Jungle Book. 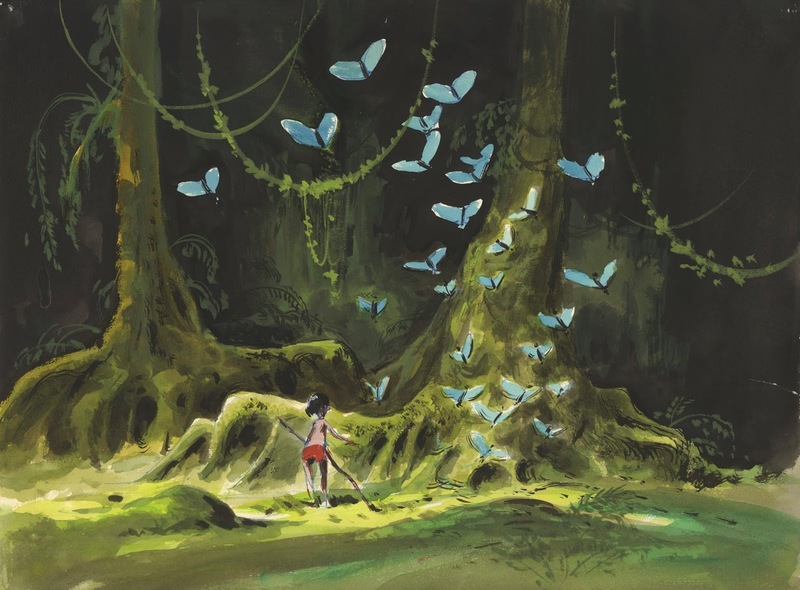 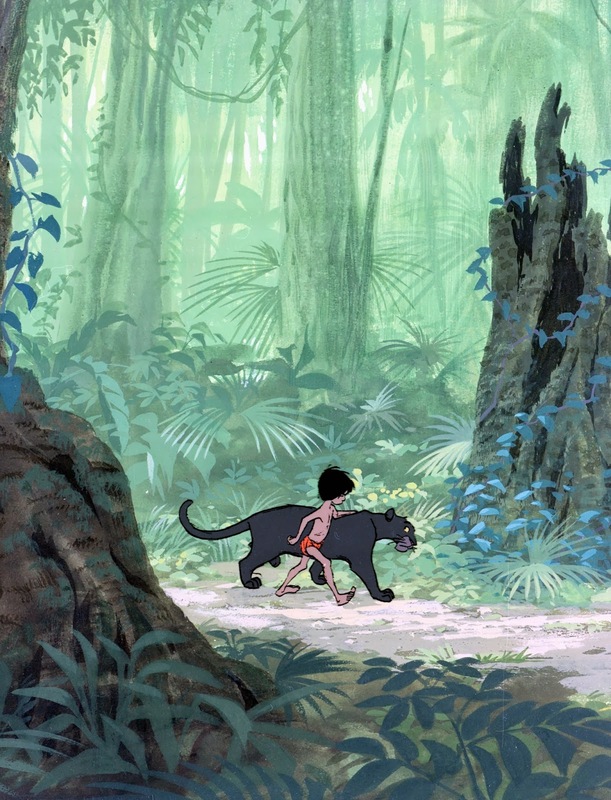 The beautiful cel above of Mowgli and Bagheera is a Milt Kahl drawing. 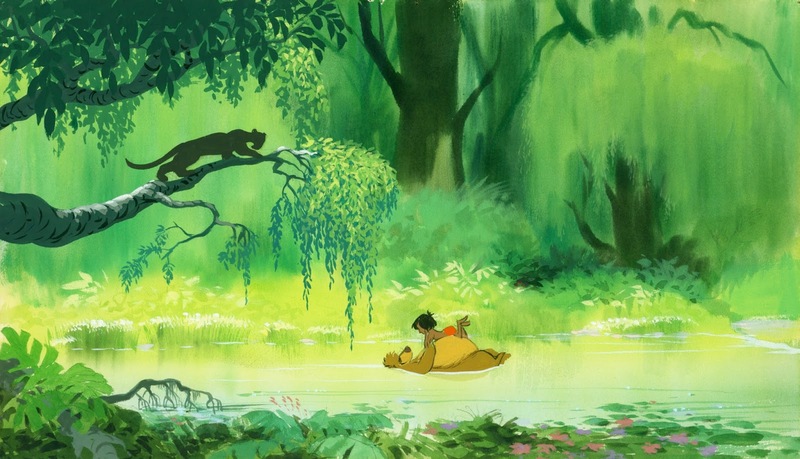 As you know, Walt Disney opted for a light, airy jungle, since the story included mostly comedic sequences. 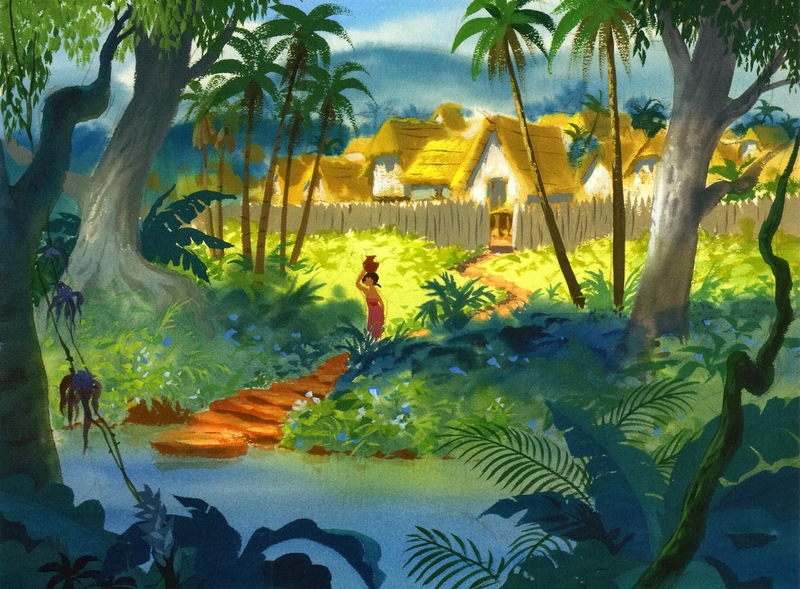 Dark, mysterious backgrounds would have worked for a more dramatic story treatment.